Growing up in South London, her teacher’s A levels advice was to get a job in Woolworth's. 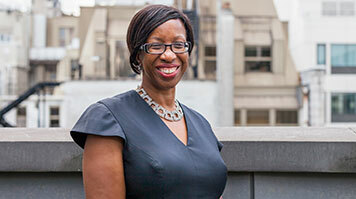 Now Nicola Williams stands three times listed as one of the 100 most influential black people in the UK. Launched in 2011 by LSBU alumnus and long-term donor Hitesh Tailor, our annual lecture welcomes notable alumni back to the University. The evening will be one to remember and a fantastic opportunity to meet alumni and students alike, to share experiences and actively support the next generation. Find out more about Nicola on Eventbrite.